The Red Carpet Fashion Awards takes a look back at 2013 and choses their “Best Dressed Of The Year 2013”. 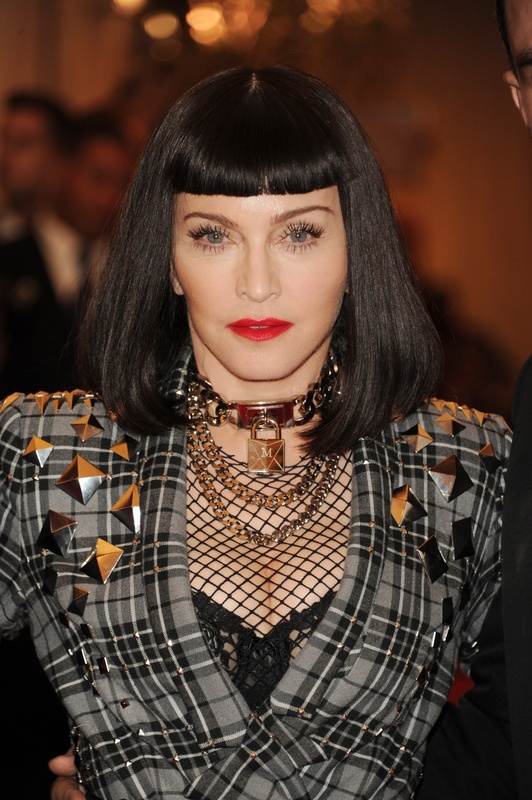 Go HERE and vote for Madonna in Givenchy at the MET Gala. Voting closes late on Friday December 20, with the results published on Monday and Tuesday next week. According to Gotham Magazine, Madonna dined at Stanton Social with a party of six that included her daughter Lourdes on December 11th. She wore a sleeveless white top, while Lourdes and rest of the group wore sweaters and jeans. The order: tuna poke, shishito peppers, veggie sliders, quesadilla, butternut squash ravioli, and mac & cheese. Dessert was mousse, a pumpkin sundae, donuts, cheesecake, and hot chocolate milk shots. Time to open the front button on your jeans, everyone. For a limited time only – spend $50 in the Madonna offical store and receive Free Standard shipping! For a limited time only — all lithographs in the Madonna official store are just $25! Plus receive Free Standard shipping on your order of $50 or more! To receive your special litho pricing: first login to madonna.com, then click the STORE link in the navigation. Use the code that’s included in the email at checkout for free shipping. Both offers are valid until 12/25/2013 @ 11:59 PM PST. According to Us Weekly, Madonna’s rep has confirmed that she has split from her boyfriend Brahim Zaibat after three years of dating. It ran its course. They were dancing and working together all the time and then they barely saw each other. Material Girl posted an exclusive selfie from Lola backstage! Madonna’s pal Ondine Massot passed away Madonnarama reader Chad Siwik just informed us that Ondine Massot, Madonna’s pal from the 70s passed away after battling cancer. Ondine wrote her abbreviated biography on June 21st, 2013. Matteo Maccarinelli’s “MAD for Madonna” documentary is still accepting applications.